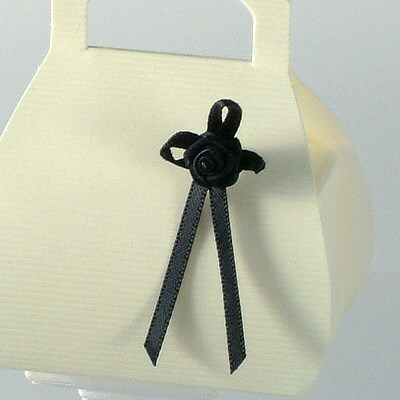 DescriptionThese pre tied satin or lurex bows are a very easy way of adding that professional look to your wedding favours. 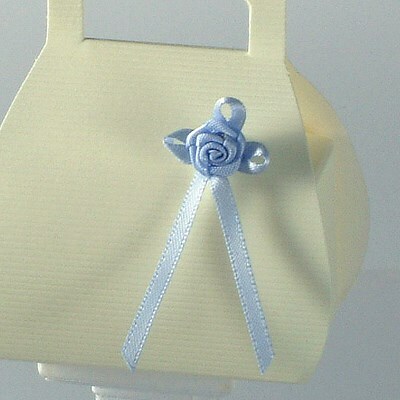 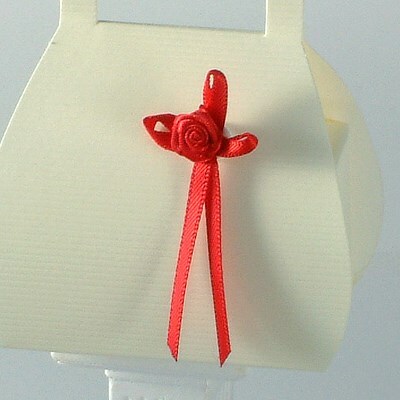 This satin bow with a pretty rose centre can be simply glued onto favour boxes place cards or invitations. 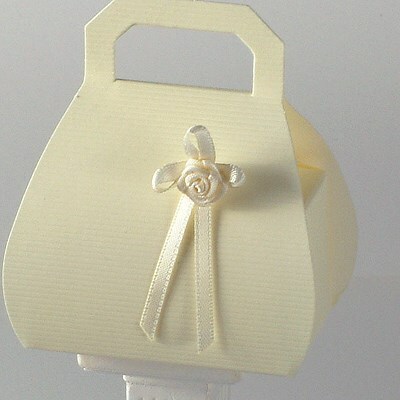 Overall approx. 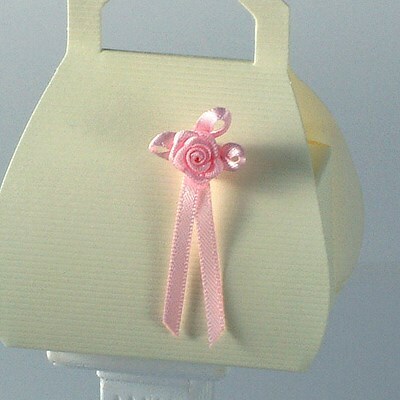 size is 22mm wide x 25mm high Price is for pack of 10 bows. 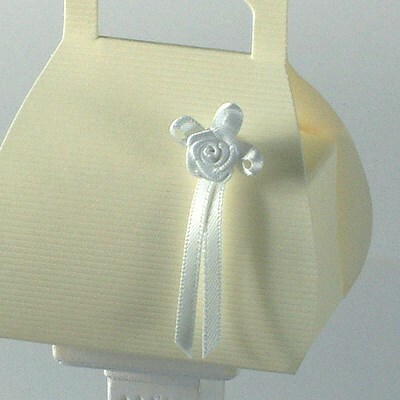 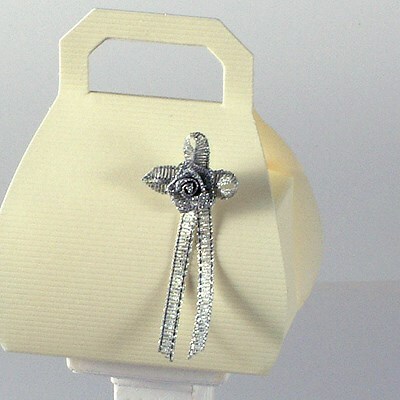 These pre tied satin or lurex bows are a very easy way of adding that professional look to your wedding favours. 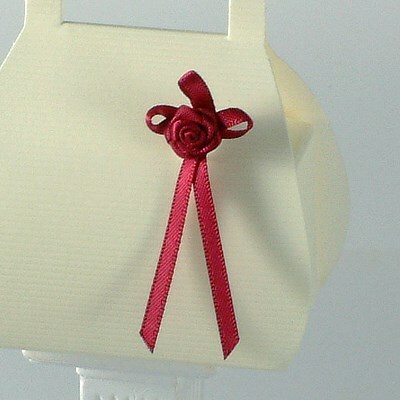 This satin bow with a pretty rose centre can be simply glued onto favour boxes place cards or invitations. 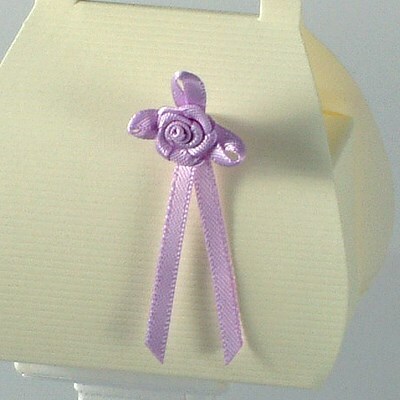 Price is for pack of 10 bows.